After falling short yesterday of the required 60 votes, today Mitch McConnell used the "nuclear option" to change Senate rules so that he and Donald Trump can ram through even more right-wing justices onto the courts. Before this afternoon, if Democrats tried to stall or prevent a lower court nominee from being confirmed, Senate rules allowed for Republicans to fight back by voting to limit debate to just 30 hours per nominee. This let Republicans ensure that Democrats couldn't hold up a nominee for forever, but because there is a finite amount of time that the Senate is in session, the "30 hour rule" also meant that there were only so many of Trump's picks that McConnell could push through before Democrats potentially take back the White House. This is the rule that Mitch just voted to change. Despite the fact that Republicans have already rammed through Trump's judicial nominees at record-breaking speed, Mitch McConnell just changed the "30 hour rule" to just 2 hours dramatically increasing the number of right-wing judges they can push through and stack the courts with. As a reminder, when President Obama was in office, McConnell obstructed and held up so many of his judicial nominees that, by the time Donald Trump took office, there was not just an open Supreme Court seat belonging to Merrick Garland, but also over 100 other judicial vacancies that Trump immediately began filling with judges who would be loyal to him. 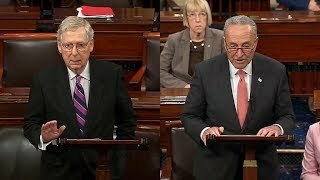 This is Mitch McConnell's strategy: When President Obama was in power, he changed the rules to slow down, obstruct, and block judicial nominees. But with a Republican now in the White House, Mitch is changing the rules so that Trump can fill all the judicial appointments that belonged to President Obama with right-wing justices that will sit on the bench for decades to come. We have a message for Mitch: Enough is enough! For too long, you have been allowed to play partisan games, politicize our independent judiciary, and erode the very fabric of our democracy. But in 2020, you are up for re-election, and we are determined to hold you accountable, support your future Democratic opponent, and send you packing. That's why we created Ditch Mitch, a new, completely grassroots organization that is solely dedicated to defeating Mitch McConnell in 2020. Already over 16,000 grassroots donors have chipped in, and we are building a grassroots movement to take on Mitch McConnell. If you're as ready as we are to Ditch Mitch, then please, click here right now and make a contribution of whatever amount you can afford. Every dollar will go directly to ensure that Mitch McConnell never wins an election ever again. 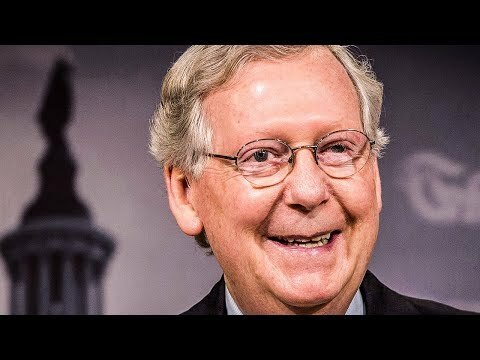 Together, we can show that the people are stronger than all of Mitch McConnell's corporate money. Thank you for helping us to build this grassroots movement that will defeat McConnell in 2020. Ready or not, Mitch. We're coming for you. Yesterday, Mitch McConnell forced a historic vote using the "nuclear option" to change Senate rules and allow himself and Trump to continue to pack the courts with even more right-wing justices. McConnell bragged just a few weeks ago that the "Republican Senate majority is confirming President Trump's judicial nominees at a record-setting pace." now, after yesterday's vote, he'll be able to confirm them even faster by limiting debate to just 2 hours per nominee. This new rule change is yet another way McConnell has been willing to break the Senate in order to pack the courts with right-wing judges"
Mitch's #1 priority has become getting as many as possible of Trump judicial picks confirmed. Is anyone in Kentucky at all concerned?